The Massachusetts Bay Transportation Authority (MBTA) on Dec. 21 placed the first of 24 new Green Line vehicles into service. 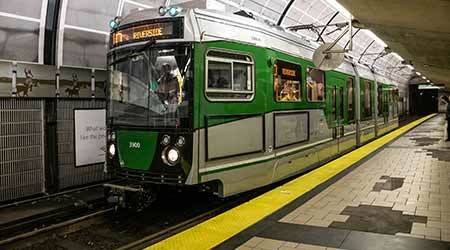 The car marks the first addition to the authority’s Green Line fleet in nearly 10 years. The MBTA plans to integrate the vehicles into the line’s fleet between this month and fall 2019. Under a $118 million contract, CAF USA Inc. will provide a total of 24 low-floor light-rail vehicles. 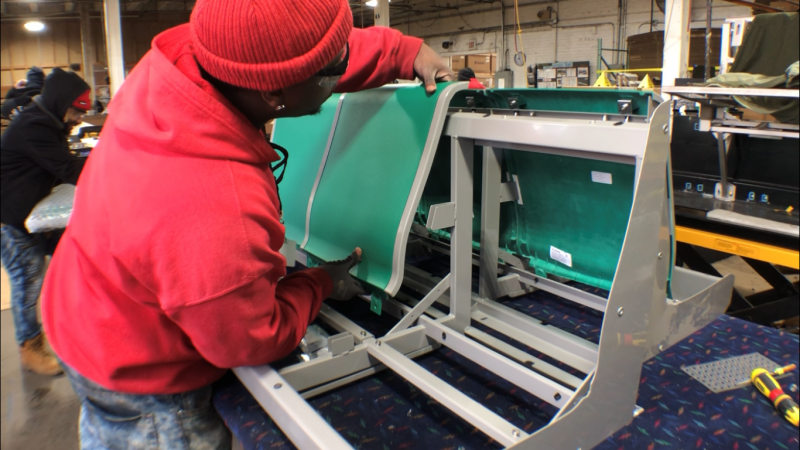 The company is producing the shells and frames at its Spain facility, and completing final assembly and testing at its Elmira, New York, plant. 10 percent increase in passenger capacity due to upgraded interior designs. “The new Green Line trolley is a strong indication that our efforts to make core system investments are working,” said Interim MBTA General Manager Jeffrey Gonneville in a press release. The cars will feature sliding doors to reduce interference with passengers on platforms and improve boarding and exiting, and a crash energy management structural design. 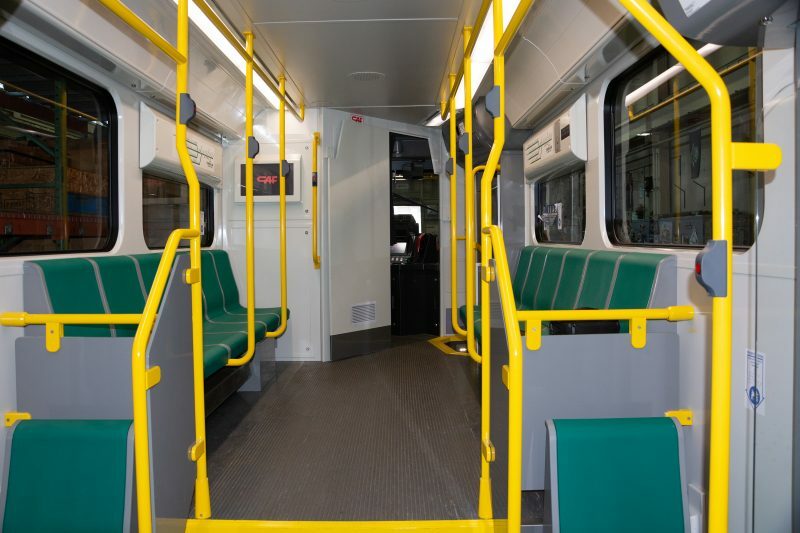 They also will sport a 10 percent increase in passenger capacity due to upgraded interior designs, MBTA officials said. Authority officials are counting on the new cars to help improve service reliability on the Green Line and accommodate a higher train frequency after the line’s extension is completed in 2021. Original story by Progressive Railroading. Passenger seating made in Chicago, Illinois.